Consistent strong southerly breezes for the first ever Club Marine Pittwater to Southport Yacht Race hosted by the Royal Prince Alfred Yacht Club brought in the last boat, Ian Edward’s Firefly, from 18 starters to the finish line at 22:10 EDT hours on Wednesday January 4, 2017. Doug Coulter’s Shakti, a Rogers 46 from Lake Macquarie Yacht Club, not only claimed line honours in the Club Marine Pittwater to Southport Yacht Race but also collected the silverware for first place in both IRC and ORCi divisions. Shakti is the Hindu Goddess of power or force – and there was plenty of power in the boat’s run up the coast riding the south to south-east breeze, leading the fleet from the outset and setting a race record of 36 hours, 46 minutes, 07 seconds. Shakti’s average speed ranged between 16 – 18 knots with a top speed of 23 knots. The pre-race forecast foretold a fast course time from the 1pm start from Broken Bay with competitors eager for a thrilling downhill run into Southport on Queensland’s south east coast. With gusts reaching 30 knots, the downhill run came at a cost for some owners and sail makers can look forward to a flurry of orders for replacement spinnakers. Marcus Grimes, winner of the race’s social media competition for best live update, commented in one of his videos: “It’s been a pretty eventful race for us, we’ve been having a lot of fun but I reckon we’ve gone through every spinnaker in the bag.” Even with the added challenge of spinnaker issues, Grimes’ Elliott 10.5 High Anxiety claimed additional race prizes to go with their social media awards - third PHS overall and third PHS Division 2. First on PHS was Jan Scholten and Stephen Parker’s Panchax, aptly named the “giant killer” by RPAYC Club Coach Tom Spithill due to their performance against the larger fleet. The Stewart 34, one of the smallest boats in the fleet, began the 370 nautical mile race strongly mid-fleet and maintained boat speed all the way up the coast to cross the line in 13th place and take victory in the PHS overall results and also PHS Division 2. Mark Tinworth and Mark Waterhouse’s Beneteau First 44.7 Le Billet had a great mix of youth and experience on board with five RPAYC Youth Development sailors led by the owners and renowned yachtsman and tactician Steve McConaghy. After crossing the finish line in fourth place the team scored first in PHS Division 2 and second in IRC results. 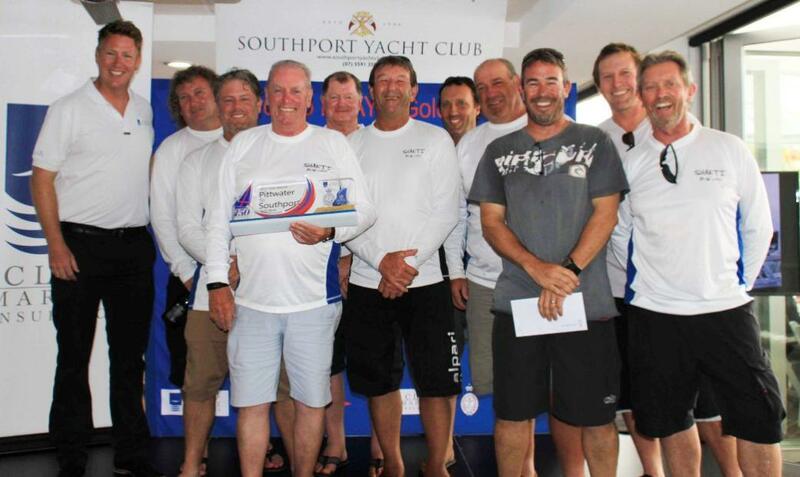 Upon receiving the IRC award Tinworth made special mention to his crew pointing the great work the Youth Development team achieved on the race to Southport. “We had a great race with the five Youth Development members from the club (RPAYC). They are all under 23 and they bring so much enthusiasm and energy and it was great having them on board,” Tinworth said. Youth Development crew Rachel Bower couldn’t praise Tinworth and the rest of the crew enough for the experience she gained racing to Southport. “You learn so much from these experienced sailors like Steve (McConaghy), he’s like an Ocean Whisperer, plus you’re sailing with all your mates which just boosts the enthusiasm all-round. Both Marks are such great guys, it just makes it all worth it,” Rachel said. 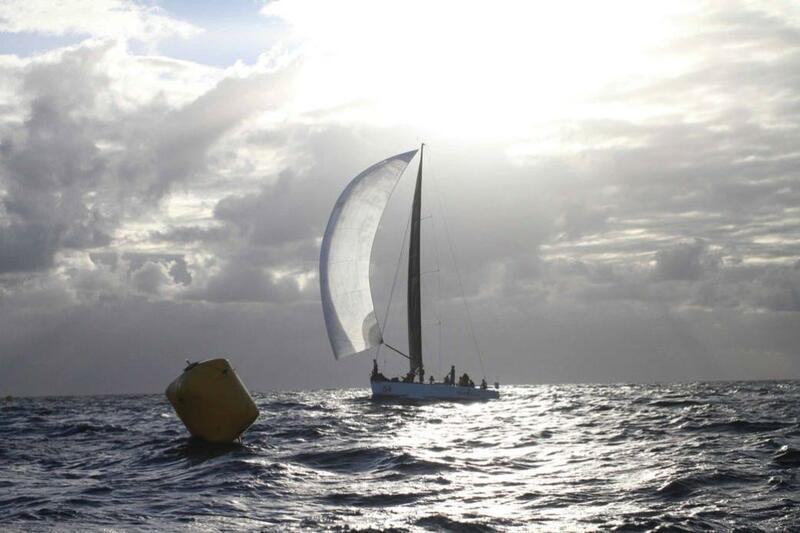 As an added bonus to competitors in the Club Marine Pittwater to Southport Yacht Race, Roger ‘Clouds’ Badham provided his weather reports for the race start and has written a report for the Sydney, Lake Macquarie and Newcastle boats, for their voyage home. This can be found on the event’s website. Moving forward the RPAYC will review their options to decide on a destination for their flagship blue water race. Full handicap results in all divisions at www.pittwatertosouthport.com.au/live/race-results. True to the forecast, a 15 knot southerly breeze had built to 20 knots by the time the Club Marine Pittwater to Southport fleet set off at 1pm on Monday January 2, 2017 from a long start line to the north of Palm Beach headland. Doug Coulter’s Rogers 46 Shakti won the clean start and led the fleet into choppy seas at a blistering pace in what is shaping up to be a fast dash north, riding on the back of a southerly front that swept through Sydney this morning. Three and a half hours later the Lake Macquarie entry was off Newcastle and had already covered 40 nautical miles, giving them an average speed of 11.4 knots. Closest to the front-runner was Phil Arnall’s Corby 43 Anger Management from Newcastle and the largest in the field, David Suttie’s Peklejus, a Radford 50 sailing for the organising club. Based on current speed Shakti is capable of setting a course time of just 30 hours for the Royal Prince Alfred Yacht Club’s traditional New Year ocean race that will finish off Southport’s Main Beach. Immediately after the final race and weather briefing at RPAYC on the start morning, Arnall said they were anticipating a 370 nautical mile downhill race ahead of 20-25 knot southerlies, then a sou’easter for the final leg to Coolangatta. “I don’t want to make excuses early but we like a little bit of upwind. We are all looking forward to a good downwind tussle with Shakti though, we are very good rivals with the Lake Macquarie boat,” Arnall said. The Bureau of Meteorology’s race forecast is holding firm from two days ago, southerly winds turning sou’east for the first 48hrs, peaking at 25 knots, and heavy showers on the NSW Far North Coast while further south should experience a gradual ease in wind strength on Wednesday and Thursday. Six RPAYC Youth Development sailors are on the Beneteau First 44.7 Le Billet owned by the two Marks – Mark Tinworth and Mark Waterhouse. Le Billet’s tactician Steve McConaghy said this morning, “It’s not the quickest boat off the breeze but it’ll be comfortable and there’s a great bunch of people on board, including the six youth sailors. Downwind Hobart, downwind Southport…what have I done to deserve this?” McConaghy posted this morning. Crews can hone their on board reporting skills during the Club Marine Pittwater to Southport Yacht Race by posting live update photos and videos to Facebook or Instagram. T’s & c’s on the website. 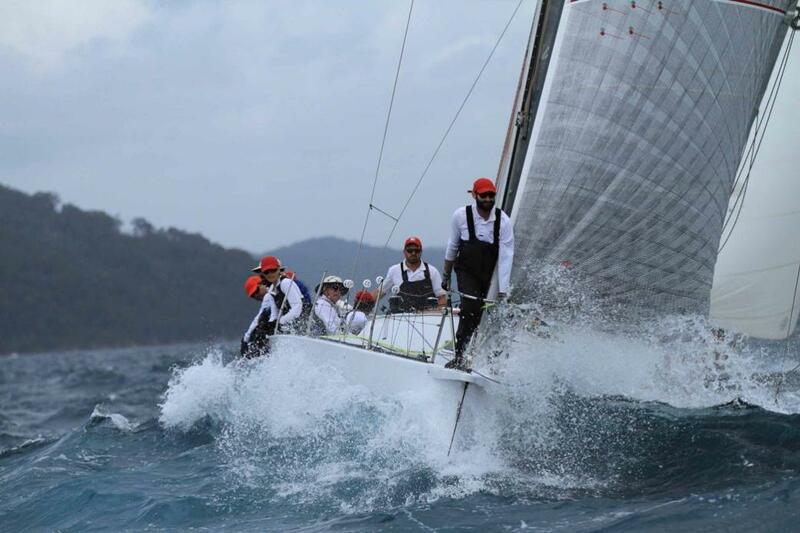 Doug Coulter’s Shakti has taken full advantage of the current weather pattern to launch their boat up the NSW coast overnight and maintain the lead in the first ever Club Marine Pittwater to Southport Yacht Race. Shakti passed Coffs Harbour at around 8:30am this morning with gusts up to 27 knots from the south setting up a cruising speed of 14 knots. Given the current weather pattern and their boat speed, Coulter is confident the 46-footer from Lake Macquarie will reach the finish line off Southport’s Main Beach by tonight, Tuesday January 3, 2017. “If the breeze holds and we don’t run into any problems I’d say we’ll be finishing around 8pm or 9pm tonight,” Coulter said. Shakti also leads the fleet on IRC and ORCi handicap. Phil Arnall’s Anger Management is positioned 40 nautical miles behind Shakti in second place with Richard Hudson’s Royal Prince Alfred Yacht Club based Pretty Woman, veteran of the Pittwater to Coffs Race, third from a fleet of 18 starters. With the competitors racing north relatively close to shore there have been some great live updates sent to the Club Marine Pittwater to Southport social media pages. Rachel Bower, crew member on Le Billet, decided to do a spot of fishing this morning to treat the crew. Unfortunately she only caught a fingernail sized tiddler. “I was just sitting on the rail and looked down on my hand and there he was (the fish) looking at me. I don’t think it’s going to feed the crew,” Rachel said. Doug Coulter’s Shakti from the Lake Macquarie Yacht Club have steamed their way up the New South Wales coast to set the record for the Royal Prince Alfred Yacht Club’s first ever Club Marine Pittwater to Southport Yacht Race with an official finish time of 0201 EDT on January 4, 2017 gave them an elapsed time of 36hrs, 46mins 07 seconds. With winds going a little beyond the predicted strength Coulter was very happy with the 46-footer’s performance in the south to southeast breeze reaching top speeds of 23 knots and averaging 18 to 16 knots. “We reached a top speed of around 23 knots but averaged around 18 – 16 knots most of the way up the coast.” Coulter said. Coulter wasn’t too fazed when asked about setting the record but glad that all the preparation paid off with a great team effort and result given it was the boat’s first race to Southport. Now the wait begins for the team to see if the gap of the rest of the finishing fleet is wide enough for them to maintain their IRC and ORC overall handicap lead. 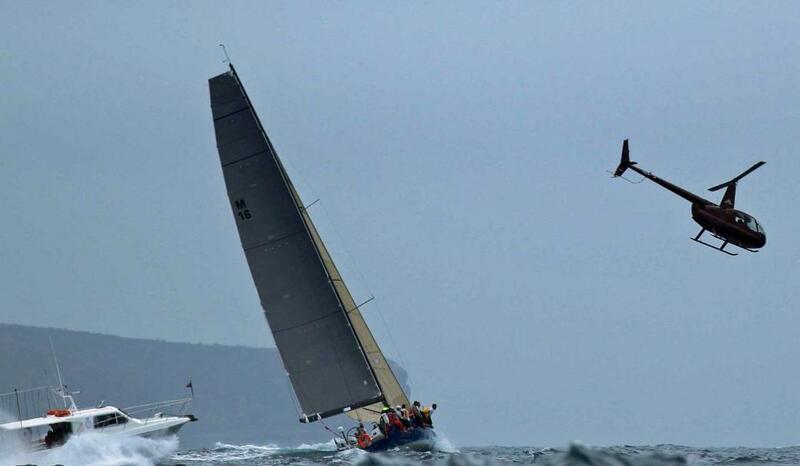 The outcome is one they have no control over as it depends how fast it takes to complete the 370 nautical mile ocean race that began on Monday at 1pm from Broken Bay. Following in close second for the IRC handicap is the Royal Prince Alfred Yacht Club’s Le Billet which is currently just south of Tweed Heads. In close second for the ORC handicap is Phil Arnall’s Anger Management from the Newcastle Cruising Yacht Club. Avalon Sailing Club’s Panchax, Co-owned by Stephen Parker and Jan Scholten is one of the smallest boats in the fleet and is sitting on first place for the PHS division with Marcus Grimes’ High Anxiety in second place. Along with sailing a good race thus far for High Anxiety they have also been very proactive with the social side of the race provided detailed live updates of their progress that can be found on the event’s Facebook page www.facebook.com/pitt2southport. On arrival Southport Yacht Club did a fantastic job ushering in Shakti into the Gold Coast seaway and the crew were welcomed with a healthy dose of cold beer and hot chips on arrival to the dock along with being presented the line honours trophy from RPAYC Commodore Ian Audsley. Today’s Gold Coast coastal waters forecast is for 15 to 20 knot southeasterly winds easing in the afternoon along with a 50% chance of showers. Today should see out the rest of the fleet finish the race.